After a year of intense wrangling and hard work, we’re finally excited to announce that our community has been incorporated as Morocco’s first national cooperative. We have been waiting for what has seemed forever to announce this exciting news because this is a big deal. The vision behind Anou has always been clear: enable the artisan community in Morocco to establish equal access to the global market. But if there is anything we’ve learned since we began our work is that to fully realize this vision we must ensure that community, meritocracy, and ownership are woven into every aspect of how we operate. Our cooperative status enables us to do exactly that. There are only two conditions to join the Anou Cooperative. First, an individual must be a motivated, Moroccan artisan that makes the products that she or he sells. Second, they must agree to Anou’s transparency requirements. Any artisan that meets these conditions can reach out to us and request to join the cooperative. Artisan trainers and leaders will then meet with the prospective artisan in person at their workshop and if everything checks out, we’ll open their online store and provide them with a basic training so they can hit the ground running. This ensures that every artisan in Morocco can both benefit from and contribute to the community. Once an artisan’s store is opened, our platform will soon automatically rate an artisan’s performance managing their online store through key performance indicators such as their product ratings, order fulfillment speed, custom order accuracy, among many other important factors. Performing at a high level will soon enable the artisan to lower the fees added to the products they list on their online store. Additionally, when artisans reach a high level of performance they will be eligible to become a trainer for the cooperative. Trainers are those the cooperative relies on to either verify and train new artisans interested in joining our community or provide support to those artisans who may be struggling with aspects of their online store. Through this work, a trainer can earn additional income and skills to supplement their sales. But most importantly, the experience as a trainer serves as a rich, real-time training in understanding the aspirations and struggles of artisans across the country. This understanding serves as the foundation for each trainer to develop a voice and a vision for the Anou Cooperative, and in essence, the wider artisan community in Morocco. Trainers who then have a long track record of success trainings and have consistently volunteered to support other artisans or help complete daily operational issues of Anou can then become a leader. Leaders are those in the community who have at every level proven their commitment to supporting the artisan community. They are those who were eager and quick to master the tools on their online store and then just as quick to help others learn as they did by becoming a trainer. 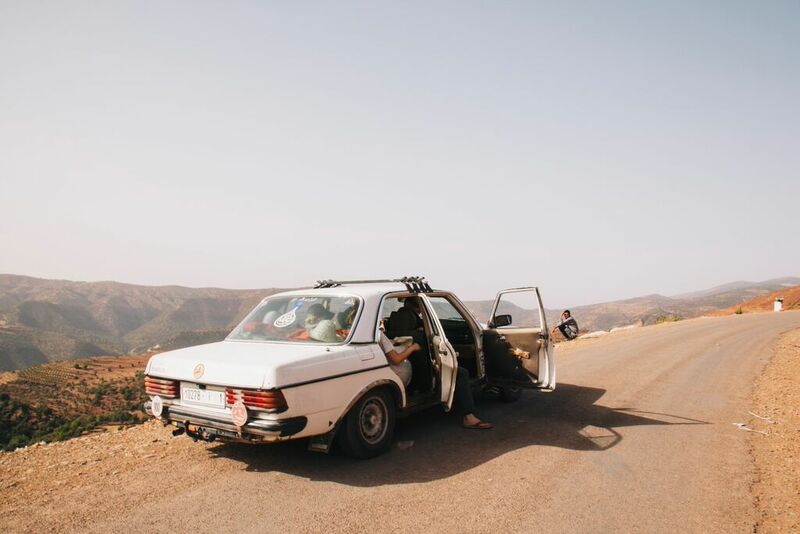 Because of their rise through the cooperative, leaders possess a deep understanding of the needs of the community and embody the best of what Moroccan artisans are capable of. Therefore, those who become leaders earn the responsibility to make the decisions that will shape the future of their community. And this is exactly what Anou’s national cooperative structure enables. Each leader gains one seat on the cooperative board, and with that, gets one vote to cast on any critical decision the cooperative faces. Decisions that were once the domain of others trying to help artisans are now fully in the hands of artisans themselves. How should the cooperative spend its profit? What rules should be implemented that foster a safe, vibrant community? Leaders will have the full ability to decide. No more gimmicky artisan advisory boards for western non-profits. No more for-profit businesses that act in their own interest and then ‘donate’ to the artisan community to compensate. The Anou Cooperative enables true ownership. Creating equal access to markets doesn’t start with developing sophisticated technology or overpriced fair-trade certification. It starts with ownership. Without real ownership of the Anou Cooperative, no artisan would want to spend any of her or his time helping another artisan. And if no artisan is willing to help another artisan, no artisan will develop leadership skills or new ideas that come from teaching and working with others. And with no skills and little incentive to work together, the artisan sector would continue to look as it did prior to when our community began: a powerless group of 1.3 million individual artisans trapped in a zero sum game waiting for their next savior who controls all access to opportunity. Yes, we understand the concern of whether or not artisans can actually manage and set the direction of an increasingly complex organization. But while creating equal access starts with ownership, creating equal access ends with you. You play an important role in the growth and success of our artisan led community. Each time you tell a friend about your experience buying directly from artisans on Anou, it might just drive that much more traffic to the site and encourage more artisans to reach out and join the cooperative. Each time you like a new product an artisan lists on our Instagram account, that artisan may just gain that extra burst of confidence to believe they can help other artisans in their community. And every time you make a purchase, it gives the artisan leaders validation that their work and effort matters, fueling their ability to make the prescient decisions that will grow their community. With our cooperative structure and your support, the dream of creating equal access to global markets is quickly becoming a reality for all Moroccan artisans. Launching the Second Edition of the British Council Common Thread Program!